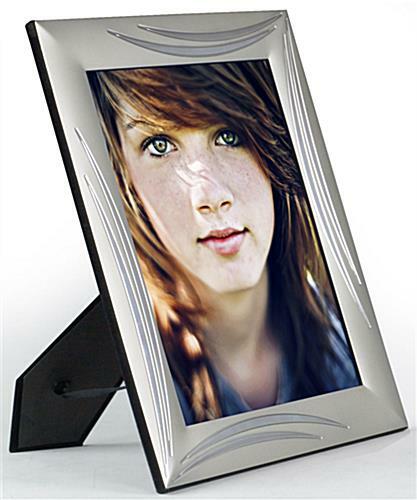 This silver aluminum countertop frame is 5" x 7" with chrome swirl accents at the corners can be viewed in horizontal or portrait display. 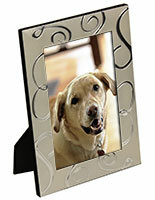 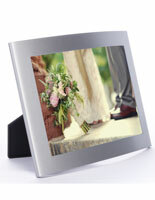 This custom framing with a dual-sided easel backer has a clear glass lens for protecting images from sunlight or dust. 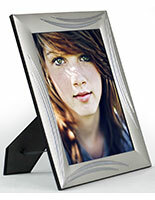 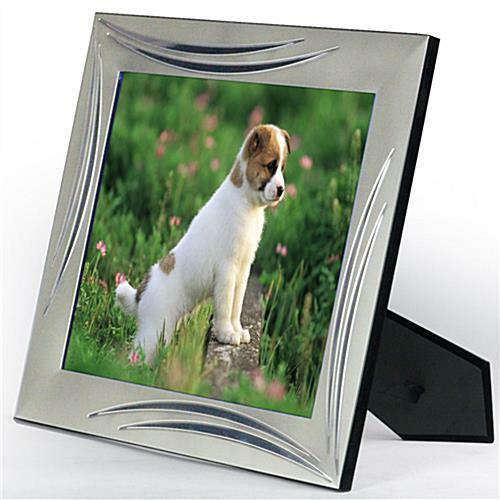 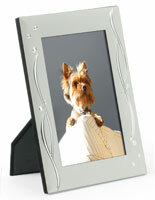 This silver aluminum countertop frame has a stylish black felt cover to keep framing from getting scratched. 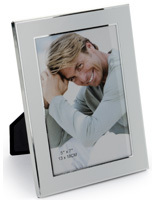 Got a special photo in your albums you'd like to display? 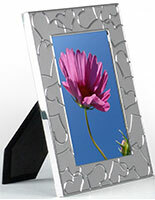 This silver aluminum countertop frame fits the bill! 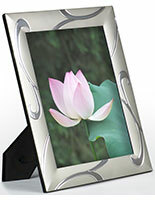 Buy all your custom displays, wall or tabletop mount and wallmount, from this great online store! 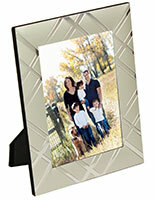 7.4" x 9.4" x 0.25"